Thirty-six years before the publisher responded? That’s almost as bad as McSweeney’s Quarterly. It has taken almost 60 years, but a novel that the late Nobel laureate José Saramago submitted to a publisher in 1953 has finally been released. Saramago, best known for his 1995 novel Blindness, won the Nobel in 1998 for what judges described as his “parables sustained by imagination, compassion and irony”. But 45 years earlier, when the 31-year-old author sent the manuscript for Claraboya (Skylight) to a Portuguese publisher, he never heard back. Saramago was in his fifties before he broke through as a writer with the publication of Baltasar and Blimunda in 1982, with a 1988 English translation bringing him to an international audience. It took until 1989 for the publisher to get in touch with the author about Claraboya, telling him they had found the manuscript during a move and would like to publish it. But he refused. 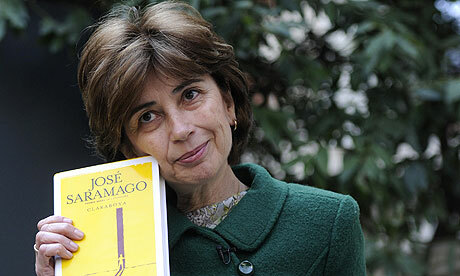 “Saramago suffered a great deal because of this snub. He felt that if someone hands you the fruits of their labour, the least you can do is reply,” his widow Pilar del Rio told press in Madrid as the novel was published. Saramago, who died in 2010 aged 87, did not write another novel for almost 20 years after Claraboya was overlooked, she said, focusing instead on journalism. “He called it the book that was lost and found in time,” del Rio said.